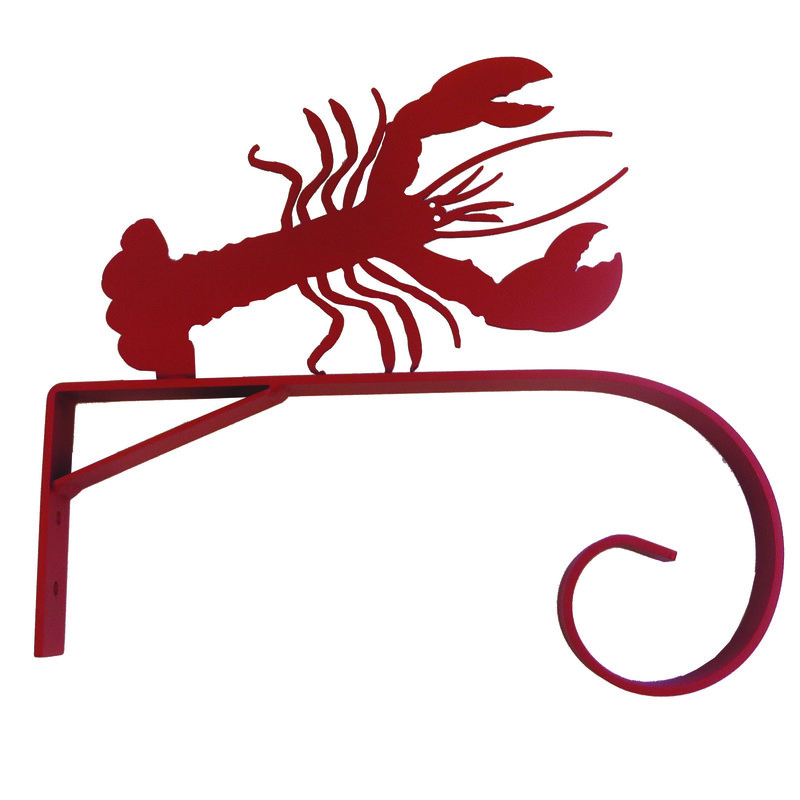 Lobster Silhouette Short Bracket. Made from recycled American Steel and powdercoated a semi-flat red to withstand years of weathering. Comes with mounting screws.